Well Done Pulman Class! 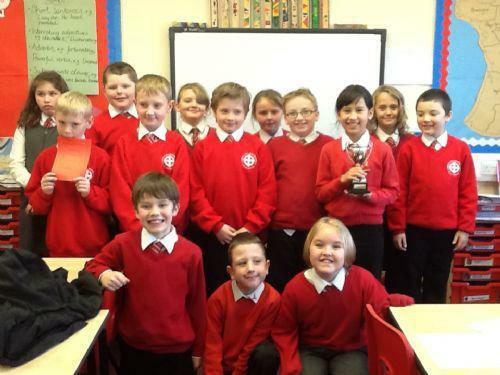 As you can see from the picture above, we won the Attendance Award again this week and we are the current holders of the lining up trophy, keep up the good work! We are well into our topic 'Viva La France'. Our focus this week has been to looking at the population in different cities in France. We have also started building our own Eiffel Tower, which we will illuminate with an electrical circuit! As part of this topic, we will be having a French Market experience day on Thursday 5th February, this will be an opportunity to try buying and, more importantly, tasting French food. Please see the sub-pages below for this half-term's class letter and planning overview. PE will be on a Monday and a Friday this half-term, so can you ensure that PE kits are kept in school. The children will also continue to learn the ukulele with Miss Roberts this half-term. Each week the children will be set homework. This will usually be their regular reading, spellings and then one other. Spellings - We are learning the sounds 'wa' at the beginning and in the middle of words. Literacy - As part of our discussion topic, the children have to write arguments for and against children being able to buy junk food. They need to discuss this with adults to get different opinions. I will save any spellings or worksheets in the 'Homework Documents' section at the bottom of this page. Just in case! I would like to introduce our new class counsellors, who prepared a short speech stating why they would make a good counsellor. 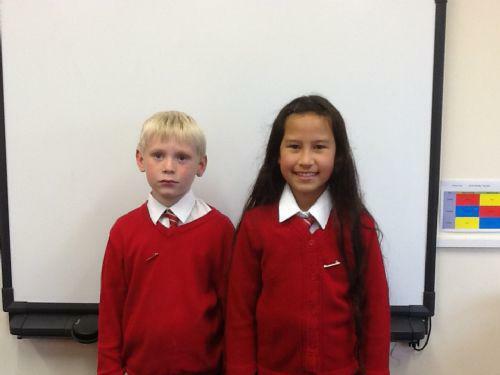 They were then elected by their peers, so well done Archie and Susan. 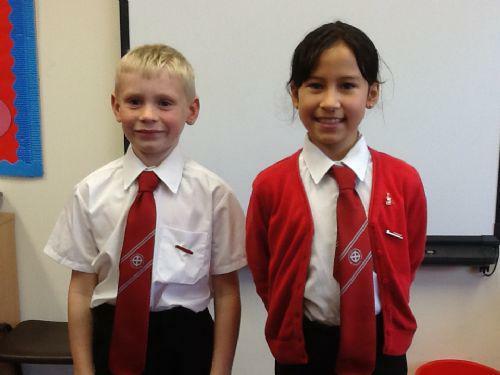 They received their new School Council Ties today, so that they can be easily identified within the school. 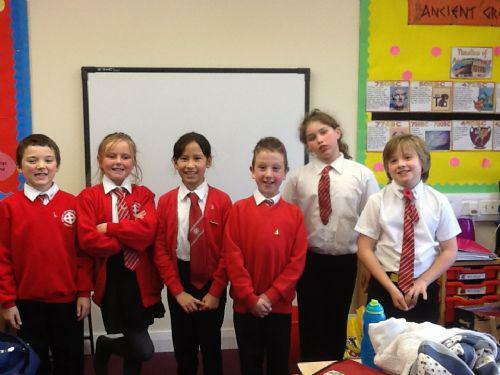 Pulman Class Choir with their very smart new badges! Well done to India for receiving a merit certificate in our celebration assembly this week. Keep up the good work. 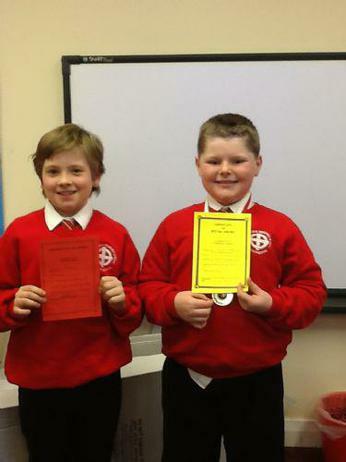 Also, a special award goes to Bailey for the hard work he is putting into his handwriting and presentation.